High-resolution printing: Print Images up to 4800x3200 px resolution. Exclusive Pro data layers: Demographics, parcels, and traffic count. Spreadsheet Import: Ingest up to 2500 addresses at a time, assigning placemarks and style templates in bulk. Movie-Maker: Export Windows Media and Quicktime HD movies, up to 1920x1080 resolution. Businesses, governments and professional users from around the world use Google Earth Pro data visualization, site planning and information sharing tools. Visualize your own information in Google Earth Pro alongside exclusive data layers such as land parcel, demographics and historical traffic data. View satellite imagery, maps, terrain, 3D buildings, galaxies far in space, and the deepest depths of the ocean -- right from the desktop. 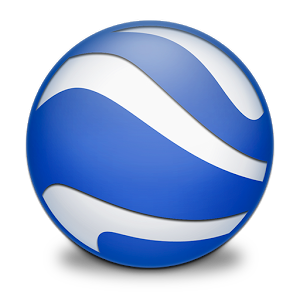 Google Earth Pro includes the same easy-to-use features and imagery of Google Earth, but with additional professional tools designed specifically for business users. In Google Earth screen resolution only. In Google Earth Pro premium high resolution images. In Google Earth manually geo-located. In Google Earth Pro automatically geo-located. In Google Earth up to max texture size. In Google Earth Pro more than max texture size.